Ok, I just don’t get this controversy. When the P.D. pulls their weapons and gives you an instruction, you better follow it. End of story. If the cops were wrong, then that’s why we have lawyers. I’ve watched enough cops shows back in the day and shootings on the news to know that you comply with police instructions and better drop the cell phone or whatever is in your hands because they will presuppose you are holding a weapon. Clark ran and failed to follow instructions by cops with their weapons drawn. It is fair to say that he provoked a confrontation. He rolled the dice and lost. Now people claim that they want justice for Stephon. The only thing nobody can define is what is “justice for Stephon?” Protestors say that they want the cops fired and presumable the police chief too but for what? (FYI I never hear from them that one of the two cops that shot Stephon was black or that the police chief is too so this can’t be a racial thing, right?) What does any of this have to do with justice? 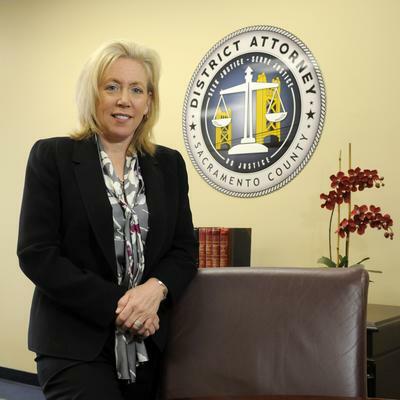 I can understand Ann Marie Schubert not wanting to prosecute but Javier Becerra? Javier would gladly throw Schubert under the bus if he wanted too. He has filed a new lawsuit against President Trump every week for the last two years; none of which he will win. Becerra is all in for political posturing not following the law. Let’s face it, Schubert waited until Becerra gave assurances that he wouldn’t throw her under the bus before announcing that the officers would not face charges. Darrell Steinberg is the one doing the posturing in all this at the expense of the police and public safety just to score cheap political points. Folks let’s take a cold, honest look at this situation. The people leading the so call “Stephon Clark protests for justice” are part of a paid political operation. This is the same continuing campaign as Occupy Sacramento, Black Lives Matters, Antifa, and all the rest. This is Obama’s community organizing; just taking advantage of the next target of opportunity. “The Tell” as they say in poker is folks like Reverend Al Sharpton stirring up the faithful and the group of people camped out in front of the District Attorney’s Office for the last year. This is a paid and coordinated campaign that reaches from Stephon’s neighborhood into the Legislature. The Stephon protests are all about tearing down law and order and have nothing to do with justice. This is the same scam as reparations and other things perpetrated on the black community. Whatever Stephon’s family thinks, there is no definition of how to decide when justice is achieved. It is an ethereal and empty promise. They are being used. I’m sorry that this is happening to them but at some point, they have to take responsibility for their association and continued involvement with this rent-a-mob. Before concluding, I must give a special condemnation of the so-called clergy involved in this circus. I watched one of the first press conferences after the shooting and was ready to give Stephon a chance until they paraded Al Sharpton out as a leader. Once Al showed his face, you knew this was a political operation, one unconcerned with justice. Sharpton only shows up if someone is angling for a large check. A real minister would not get immersed in such a mess as this. What happened to “government is established by God to bear the sword?” What happened to keeping the commandments? What about avoiding the company of evil men? What about turning the other cheek? What about allowing God to take vengeance? What about caring for the widow and orphan? (Per the Bible, this is the responsibility of individuals not government.) What happened to the gospel? What about abortion? Whatever these guys are saying either from the pulpit or the press conference, it’s not based on the Bible. No wonder people can’t get out of the plantation, they aren’t being shown the way. The fake outrage from organizers of the Stephon Clark protests are just furthering a political narrative. They want to get the community so emotionally worked-up that people will call them leaders and follow them; however, unlike Moses in the wilderness, there is no destination, only dry bones in the desert where these folks are being herded. The Apostle Paul warns us of those that “preacheth another Jesus, … another spirit, …, or another gospel, …” (2 Cor 11:4) When I hear that Stephon is innocent because of the color of his skin and not the content of his character, I know that the person speaking is uttering falsehood. If the person is not promoting agape love, they are speaking falsely, if the person is not promoting Biblical values but spewing words based on Marxism and Liberation Theology that they speak falsely. 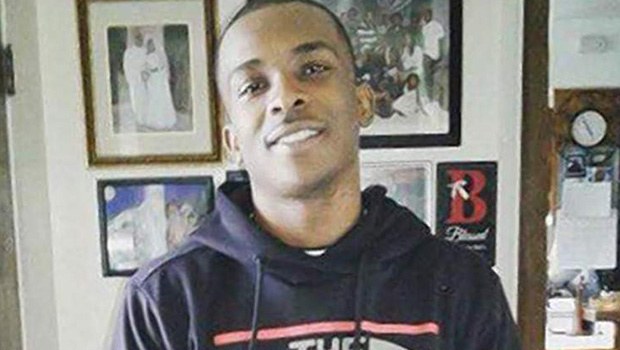 Stephon Clark was another youth that died as a result of an accumulation of stupid life choices. Had he been raised to follow the values and practices that he should have received from all the ministers that purport to speak for him now, he would still be walking upon our planet. He wouldn’t have abused drugs, had an extensive criminal record, and fathered children out of wedlock. Stephon is a household name not for what he did right but for what he failed to do. Again, I don’t care whether you think you are right or wrong, if a guy with a badge pulls a weapon on you, then you comply. If he’s wrong, get a lawyer.